The Christian faith is rooted in both what we believe and how we are to live. 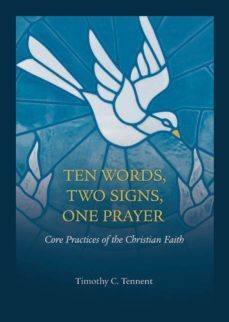 Ten Words, Two Signs, One Prayer: Core Practices of the Christian Faith is an exploration of the practices and shared life which we celebrate together as Christians. It focuses on the Ten Commandments, the two sacrements of baptism and Communion, and the Lords Prayer. It is designed to be a practical resource for small group study, a guide for parents in training their children, a personal devotional guide, or a core sermon series for pastors.